Regard for George Oppen's poetry has been growing steadily over the last decade. Peter Nicholls's study offers a timely opportunity to engage with a body of work which can be both luminously simple and intriguingly opaque. Nicholls charts Oppen's commitment to Marxism and his later explorations of a 'poetics of being' inspired by Heidegger and Existentialism, providing detailed accounts of each of the poet's books. He is the first critic to draw extensively on the Oppen archive, with its thousands of pages of largely unpublished notes and drafts for poems; in doing so, he is able to map the distinctive contours of Oppen's poetic thinking and to investigate the complex origins of many of his poems. Oppen emerges from this study as a writer of mercurial intensities for whom every poem constitutes a 'beginning again', a freeing of the mind from thoughts known in advance. 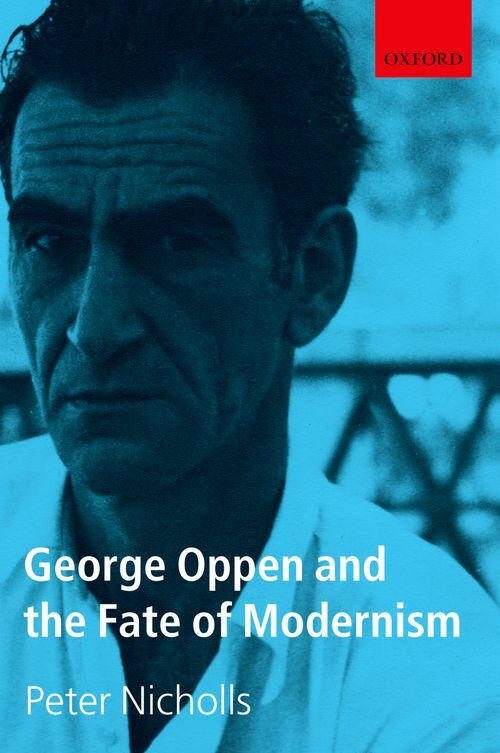 A strikingly innovative and challenging poetics results from Oppen's attempt to avoid what he regards as the errors of the modernist avant-garde and to create instead a designedly 'impoverished' aesthetic which keeps poetry close to the grain of experience and to the political and ethical dilemmas it constantly poses. Peter Nicholls is Professor of English at New York University. His publications include Ezra Pound: Politics, Economics and Writing, Modernisms: A Literary Guide, and many articles and essays on literature and theory. He recently co-edited with Laura Marcus The Cambridge History of Twentieth-Century English Literature and is currently editor of the journal Textual Practice and co-director of The Centre for Modernist Studies at Sussex.